As we can see, works of difference genres were performed together for variety, in Mozart’s time. In that same spirit, we offer you a varied program of orchestral, chamber, and vocal works this evening. Additionally, we will be performing two of the works listed above, the “quite new grand symphony” K.425 and the “new grand quintet” K.452. Please read further for details on each piece. W. A. Mozart wrote about 24 compositions titled “Divertimento” or “Serenade” for special occasions. Famous serenades by Mozart include the “Haffner” Serenade (which Mozart later worked into the Haffner Symphony no.35), the Serenata “notturna”, and one of his more well known works, Eine Kleine Nachtmusik, which was written a little over a decade later. The occasion or patron for which the Serenata notturna was composed in Salzburg in January 1776, is unknown. The “Serenata notturna” consists of three movements: a light-footed march, a country-dance minuet; and a spirited rondo, which seems to capture two rustic Salzburg melodies. “Now, here is something one can learn from!” – attributed to Mozart, upon hearing a motet by J. S. Bach. In 1782, Wolfgang Amadeus Mozart wrote in a letter to his father Leopold, “I go every Sunday at twelve to the Baron van Swieten, where nothing is played but Handel and Bach.” It is evident that in the latter third of Mozart’s life, he knew the works of old J.S. Bach (1685-1750), and increasingly used counterpoint and chromaticism in his music. While the chromatic, highly contrapuntal style of the late Baroque had, by Mozart’s time, long been considered old-fashioned and overly serious for the enlightenment period, Mozart clearly found something of value in it, well before Mendelssohn famously “rediscovered” Bach. Apparently it did not come easily to Mozart, to incorporate Bach’s contrapuntal forms into his own style. The six string-quartets dedicated to Haydn (1782-1785) were a challenge to himself, and a testament to his own eventual mastery. Most famously, Mozart’s “Jupiter” Symphony no.41 utilizes 5-voice counterpoint in the finale. The six Preludes and Fugues for string trio (possibly written to be performed at van Swieten’s salons) could be seen as an early exercise. The first one of the set, in D minor, consists of a prelude written by Mozart, and a three-part fugue he transcribed from Bach’s Well-tempered Clavier, book I; the fugue #8 in D-sharp minor. “I myself consider it to be the best thing I have written in my life.” – Mozart, in a letter to his father, about his Quintet for winds and piano, K.452. Completed March 30, 1784, the quintet was premiered a few days later, on a program which also included a performance of the “Linz” symphony K.425 (see above). It has been proposed that this work was the inspiration for Beethoven’s quintet Op. 16 (1796), written in the same key and instrumentation. In 1772 (at just 16 years old) Mozart was staying in Milan for the run of his opera Lucio Silla. Before the end of the run, Mozart composed Exsultate for the singer Venanzio Rauzzini, whom Mozart had met a year earlier. It was first performed on January 17, 1773 by Rauzzini, in the middle of the opera run. The text, in Latin, expresses great joy, but the authorship is unknown. Mozart finally brought his wife Constanze to meet his father, sister, and friends in Salzburg for the first time in the summer of 1783. After this lengthy and perhaps difficult visit, they passed through the town of Linz on their way back to Vienna. On October 31, 1783, Mozart penned a letter to his father: “We arrived here safely yesterday morning at 9 o’clock. … The young Count Thun called on me immediately and said that his father was expecting me for a fortnight and would I please drive to his house at once for I was to stay with him. … On Tuesday, November 4th, I am giving a concert in the theatre here and, as I have not a single symphony with me, I am writing a new one at break-neck speed…” We can assume then that the “Linz” was written, copied, and even rehearsed in just four days! Apparently, Mozart did not care for this symphony as much as his piano concertos at this time in his life, because clearly he enjoyed performing as soloist. In a letter dated Feb. 20, 1784, to his father in Salzburg, Mozart tells his father he will send him the symphony [the Linz] and a new piano concerto [K.449], and that “The symphony is in the original score, which you might have arranged to have copied some time. You can then send it back to me or even give it away or have it performed anywhere you like. The concerto .. you may have copied, but have done as quickly as possible and return it to me. Remember, do not show it to a single soul.” In another letter from May 15th, Mozart writes “I am not particular about the symphony, but I do ask that you have the four concertos copied at home, for the Salzburg copyists are as little to be trusted as the Viennese.” Perhaps his lack of interest in his Linz symphony is what led to the score being lost relatively early. Only two sets of original orchestra parts remain, and they differ in a few places. The version we are playing tonight is the Barenreiter authoritative reconstruction from those two sets. Danse Diabolique was born out of a love for syncopated music that makes one move and dance. The syncopated, driving rhythms are contrasted by lyrical lines played in the violin and viola sections. A rhythmic motive initiated by the viola and cello sections starts the diabolical journey of dance and lyricism. A contrasting lyrical B section, in 6/8, almost waltz-like, shows a softer side of this dance journey. Various tango elements are also found in this piece such as special effects like the glissandi in the cello section, and the chicharra played by the first violins. The chicharra should be played behind the bridge on the D string and very close to the tailpiece – this sound imitates the chicharra or cricket! In my triple concerto I am particularly interested in the blending of the plucked guitar and harp, and the struck cimbalom with the string orchestra and three winds, mirroring the solo instruments in the orchestra. The first movement starts from a mystical, almost blurry place ent ends with a frenetic, virtuosic scherzo connected via an idiomatic harp cadenza. The second movement has haunting lyrical passages for both the solo instruments and the winds, colored with quarter-tone trills in the winds and sul pont harmonics in the strings. The last movement owes to my Hungarian roots, with plenty of rhythmic, percussive and scalar passages successfully blending my most powerful musical influences: Ligeti, Bartók and minimalism. The world premiere took place at the Liszt Academy in Budapest on April 28, 2015. My second concerto for organ, percussion and strings was commissioned by my former organ teacher, Janos Palur for the inaugural concert of his renovated Angster Organ at the Fasor Reformed Church in Budapest. The piece is about 18 minutes long. It has a through-composed form with a “intonation”-type opening with descending fifths featuring the organ and the vibraphone. I used the same orchestration as the staple organ concerto in G Minor by Francis Poulenc, except with a very soloistic percussion part, with a variety percussion instruments. This is my first piece in which I use a direct quotation of Poulenc’s Organ concerto, and melodic snippets Lutoslawski’s Concerto for Orchestra, which is itself a tribute to Bartók. The premier takes place on Novemebr 4, 2016 at Saint Peter’s Lutheran Church in New York City by János Pálúr, organ, Charles Kiger, percussion and the Spectrum Symphony of New York. The piece will have a Canadian Premier the following week in Edmonton and a third performance at the Reformed Church in Fasor in Budapest on April 24, 2017. Alberto Ginastera is widely considered to be one of the Americas’ most important 20th-century classical composers. Much of his work was inspired by the idea of the Gaucho, the legendary native horseman of Argentina. His work is divided roughly into three distinct periods: Objective Nationalism (1930s to mid 1940s), Subjective Nationalism (mid 1940s to late 1950s), and Neo-Expressionism (late 1950s onward). This concert will feature works primarily of Ginastera’s middle-to-late periods, in which he utilized elements of traditional Argentinian folk music, with increasing use of more abstract compositional ideas. Guatemalan composer (and tango violinist) Sergio R. Reyes has written two short works for this concert, inspired by Argentinian tango. We look forward to presenting them to you! Walter Krochmal, Honduran-American actor, translator, arts promoter and founder of the non-profit Bronx World Film, will be present at the concert to introduce two world premieres by Guatemalan Mr. Reyes. (In Memoriam Berta Cáceres, Rigoberto Lima Choc, and Octavio Brunetti). In 1914, Guatemalan modernist writer/journalist Enrique Gómez Carrillo (1873-1927) traveled from Paris to Argentina. His book El encanto de Buenos Aires (The Charm of Buenos Aires) has a chapter devoted to the strong impressions the tango scene left upon him, the spell cast on him by the sensuous dance and music, and the thrill of being able to recognize melodies which already enjoyed world popularity back then. The music celebrates the writer’s universality. The title of this work is a play on the word “time.” Although the term “from time to time” usually refers to something that occurs occasionally or infrequently, it implies a different meaning here. The real idea behind this two-movement, American-folksong fantasy would be conveyed by a literal but clumsy title such as From Past Times to Future Times. In short, From Time to Time is about memories and movement. Written as part of my residency with the Richmond Symphony, and on the cusp of our new century, this piece draws upon elements of Virginia’s history and two memorable Appalachian folksongs, Black Is the Color of My True Love’s Hair and Shenandoah. The first movement, Once upon a Time: Crosscurrents Remembered, summons images of past memories. It encompasses a trajectory from conflict and hostility to resolution and affection. It exploits allusions to Marvin Hamlisch’s expressive popular song The Way We Were, where a melodic pattern on the words “[Mem’ries] light the corners of my mind” is identical to the same melodic fragment on the words “and the prettiest of hands” from the folksong Black Is the Color of My True Love’s Hair. 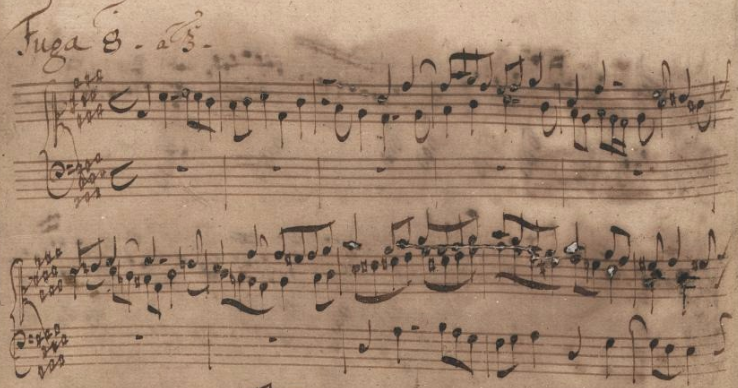 This melodic fragment is a generative thematic source throughout the first movement. The second movement, Moving Time: a Millennium Ride, transforms the folksong Shenandoah into a buoyant and celebratory expression of hope for the new century. In both movements, we hear, at first, only folk tune fragments that are fused with original melodic material. After substantial development, the orchestra extracts and assembles these fragments into complete folksong settings. By emphasizing development that precedes and subsequently leads to complete thematic statements, the formal design reverses the traditional order of theme and variation. Serenade describes the inner feeling of the author’s nostalgia, especially the sound of the rainforest – the breeze, the dew, insects, etc. Born and grown up in Malaysia, the author was exposed to multi-cultural music from Eastern to Western. In Serenade, the author has combined different elements and techniques, including the pentatonic and Gamelan’s Pelog scales, the bi-tonal quality by using the advantage of orchestration, the use of Malay’s tune in the ending section and the imitation of Rabab’s (Malay string instrument) performing technique. Hailed by the New York Times as “dizzyingly versatile… an eclectic with an ear for texture… strikingly original and soulful”, LJOVA (Lev Zhurbin) was born in 1978 in Moscow, Russia, and moved to New York with his parents, composer Alexander Zhurbin and writer Irena Ginzburg, in 1990. He divides his time between composing for the concert stage, contemporary dance & film, leading his own ensemble LJOVA AND THE KONTRABAND, as well as a busy career as a freelance violist, violinist & musical arranger. Among recent projects is a string quartet for Brooklyn Rider and a commission for Yo-Yo Ma and the Silk Road Project, arrangements for the Brooklyn Philharmonic, tenor Javier Camarena, conductor Alondra de la Parra, the Mexican songwriter Natalia Lafourcade, composer/guitarist Gustavo Santaolalla, The Knights, and collaborations with choreographers Aszure Barton, Damian Woetzel, Christopher Wheeldon and Eduardo Vilaro (with Ballet Hispanico). “Mecklenburg” refers to a very small town — really, just a few farm fields — in the Finger Lakes region of Upstate New York, just west of Ithaca. In the summer of 2013, while working on a commission from Ballet Hispanico with choreographer Eduardo Vilaro, my wife and I went to Mecklenburg to play an informal house concert. As our children pranced around the room, I began to improvise what became the beginning of “Mecklenburg” — soon the room grew very quiet and the piece was born. In the next few weeks, as the choreography evolved, so did the music. I’m very grateful to Eduardo Vilaro and Ballet Hispanico for the commission. Bruce Saylor‘s music has been commissioned and premiered by the Houston, San Francisco, Saint Louis, Nashville, Yale symphonies, and the American Composers and Chicago Composers orchestras. The most recent of his five operas is “The Image Maker,” premiered by conductor Maurice Peress at Queens College’s Goldstein Theater in 2012. His new “Take Us In Hand” for chorus and orchestra will be premiered by Musica Viva of New York on March 9, 2014, Walter Klauss, conductor. Saylor is writing a new work for violinist Gil Morgenstern’s “Reflections” series. His “Missa Constantiae” will be issued by Paraclete Press this spring. Saylor teaches composition at the Aaron Copland School of Music at Queens College and at the City University of New York Graduate Center, and was recently appointed Artist in Residence at the Greek Orthodox Cathedral of the Holy Trinity in New York City. “Cantilena” for string orchestra was finished when Saylor was 19. Quietly, successive entrances of the strings build up a contrapuntal texture of singing lines. Cross-relations offer bittersweet dissonances within the diatonic harmonic background, as the music heads towards a forte, then a pianissimo climax, before reaching the long-delayed goal of G major. This colorful work is based on three well-known paintings of Sandro Botticelli, the Renaissance master painter. Respighi studied history with Luigi Torchi and composition with Rimsky-Korsakov which would explain his love of ancient melodies on the one hand and colorful orchestration on the other. In the first part of this work, based on the painting La Primavera (Spring), the music depicts the delicate flowers, the light-hearted and playful optimism of spring, the dancing muses and zephyrs. The second part, L’adorazione dei Magi (Adoration of the Magi), has an ancient, reverential quality. We recognize the tune of “Oh Come Emmanuel” and hints of other sacred chants. In the more lively middle section, sounds of the East are prevalent within a five-beat measure that represent, perhaps, the wise old kings’ laborious travel. In the third part, La nascita di Venere (The birth of Venus), we hear an undulating sea and passionate, ever-increasing waves as Venus emerges from the sea. “Schism” (2011) is about divisions! Ludwig van Beethoven (1770-1827) said that his 7th Symphony was his best work, but of course at the time he was yet to compose the 8th, 9th, and all of his late period works. Nevertheless, since its premiere on Dec. 8th 1813, the 7th with its unquenchable rhythmic drive has been received by audiences worldwide as one of the greatest symphonic works of all time. Today we are performing the work almost precisely 200 years after its premiere, and 2 days before Beethoven’s birthday. Happy Birthday, our king of music! There are only two piano concertos written in a minor key- this is the first, the second being No. 24 in C minor. This work is reminiscent of Don Giovanni – full of fire and brimstone that the Fauré Requiem consciously avoids. The premiere of K. 466 was performed by Mozart in Vienna in 1785. Some well-known composers who have written cadenzas for this concerto include Beethoven, Brahms, Hummel, Busoni, and Clara Schumann. Our soloist, Steven Graff, D.M.A., will be improvising his candenzas this evening. Recording Director and Composer for Film/TV, for Estonian Radio. Cantus in Memoriam Benjamin Britten was written as a secular elegy mourning the 1976 death of Benjamin Britten. Pärt considered Britten to be a “kindred spirit”, and was left feeling hopeless after his death, having never met the man who wrote such “unusually pure” music. This canon is an example of Pärt’s Tintinnabuli (Latin: tintinnabulum, “bell”) compositional style, influenced by his mystical experience with chant, evoking slow, undulating, meditative soundscapes of pealing bells with overtones. Inspired by Gregorian chant, the melodies were set with an edited text, having inserted and omitted phrases as Fauré wished. To enhance the subdued, gentle character of what is considered his “lullaby of death”, he chose to add the Pie Jesu and In Paradisium texts, to emphasize the granting of eternal rest. “D’amor sull’ali rosee” from Il Trovatore by Giuseppe Verdi. Act IV. Scene 1: Leonora plans to save the captive Manrico by promising herself to di Luna. But she plans to kill herself after she is assured Manrico is spared. As a good Catholic woman, she knows that suicide will damn her soul forever, but her love for Manrico and the desire to save his life are much stronger. She sings of steeling herself for the task ahead and of the breezes sending her love onward to Manrico. “Non mi dir” from Don Giovanni by W. A. Mozart. Act II, scene 4. Donna Anna’s fiance, Don Ottavio, is upset that she is postponing their wedding because her father has been murdered. Both secretly suspect Don Giovanni. Ottavio is jealous and worried that she might be protecting Don Giovanni. She begins by defending herself against his accusations, then assures him that she loves him and is faithful. Both arias claim the same position in Il Trovatore and Don Giovanni and serve similar purposes; they represent the tense quiet before the storm of the operas’ climatic finales.